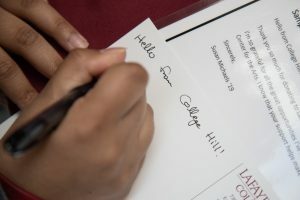 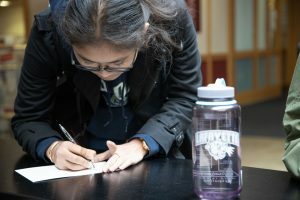 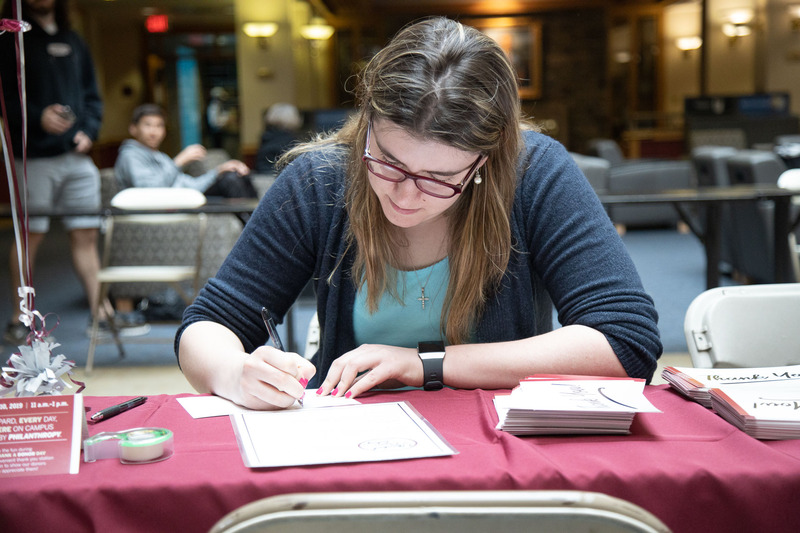 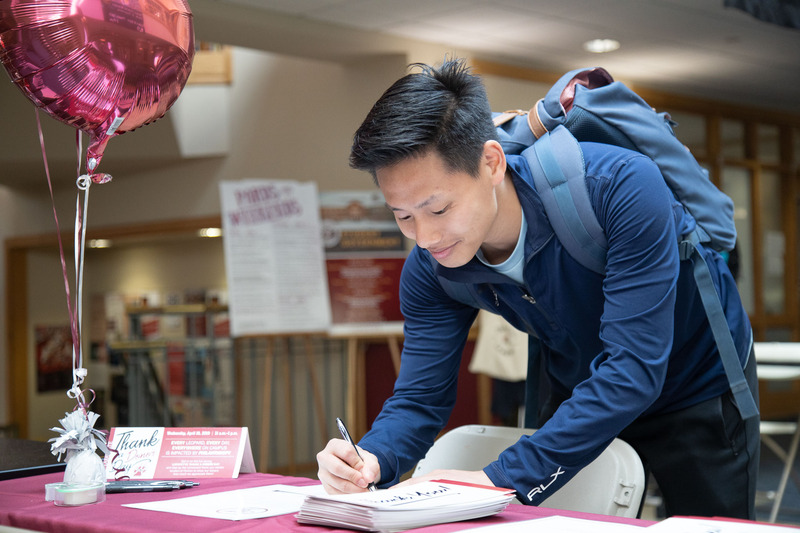 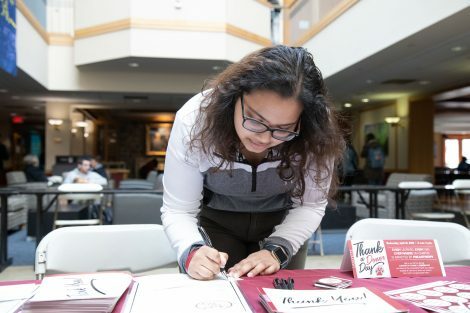 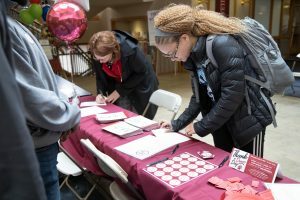 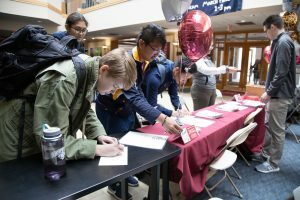 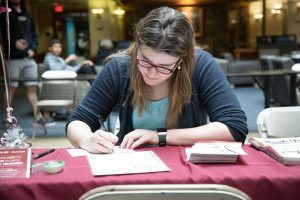 Members of the Lafayette community expressed gratitude during the College’s second annual Thank a Donor Day on April 10. 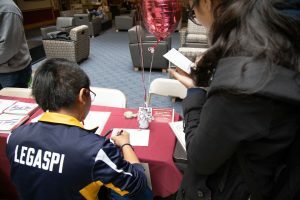 Faculty, staff, and students gathered at Farinon College Center to write notes of appreciation and record heartfelt videos, which will be shared with supporters. 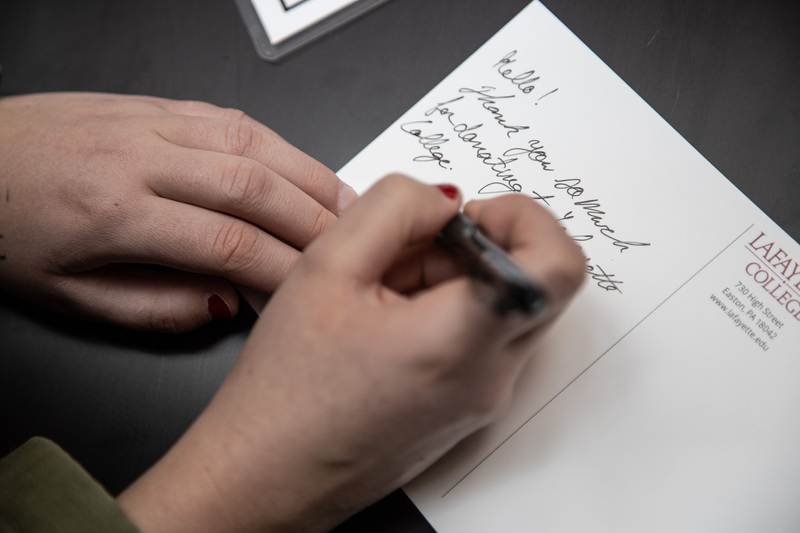 This year, student organizations joined in the effort, including brothers from Phi Kappa Psi, resulting in a significant increase in thank you cards. 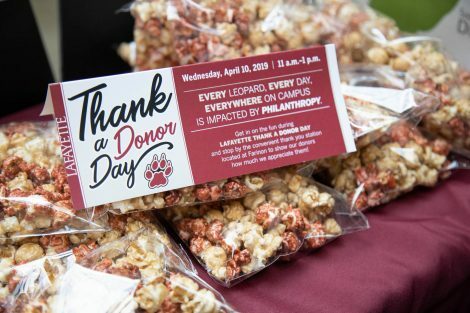 Thanks to the generosity of alumni and friends, the entire Lafayette experience is elevated for students through philanthropy. Support from individuals and organizations fund scholarships, faculty professorships, facility improvements, program support, and more. 63% of supporters are alumni and students, 37% are parents, friends, faculty, and staff. 17,200 donors (by household) contributed gifts of $250 and under to the campaign—every gift counts! 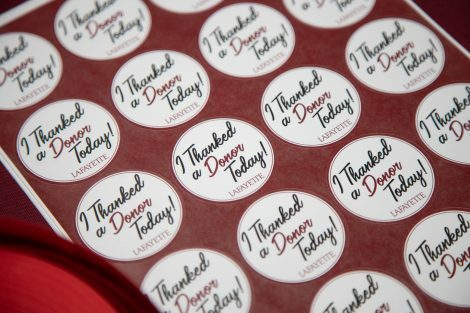 Thank a Donor Day is organized by the Division of Development and College Relations.